Make the customer easy to find Fiberland difference, more sophisticated and comprehensive. 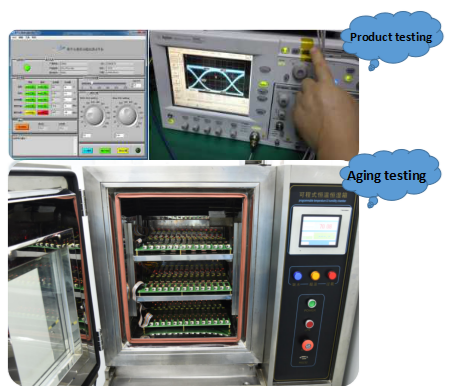 C. PCBA Impedance Control: The standard of impedance test is ±10%, Fiberland engineers ask the impedance standard control in ± 5%. D. PCBA Golden Finger: The gold plating standard is 0.38um, Fiberland hardware engineer is very strict on this, the thickness must be over 0.38um, while others are 0.38um，the stard plug rate can be over 500 times.